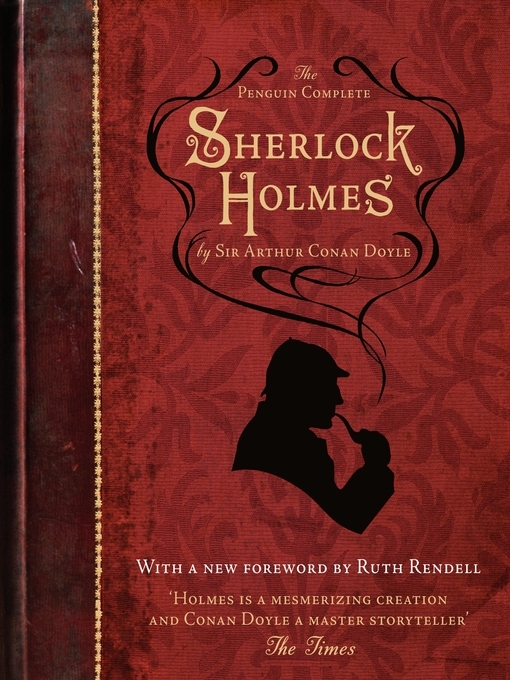 Sherlock Holmes is one of those iconic characters that even people who have never read in their life have heard of. After a couple of positive brushes with detective fiction last year, I decided that it was about time that I read some Sherlock Holmes stories and acquaint myself properly with the character as he was originally written. While I know that it is entirely unnecessary to read them in the order they were written/published, I did want to at least start with the first so that I could read how Conan Doyle originally revealed him and how he met Dr Watson. 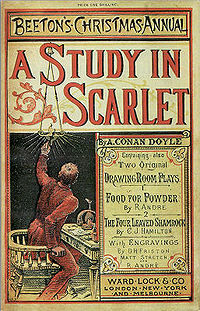 A Study in Scarlet was Holmes’ introduction to the world and published in 1897 in Beeton’s Christmas Annual. 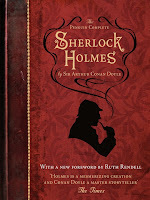 What I encountered in Part I of the story was broadly what I had expected: Holmes is an eccentric and socially awkward man who has an uncanny ability to make accurate deductions from a seemingly minor array of facts. Reading about Holmes’ thought processes was just as charming as I hoped it would be. Even without the glitzy effects of more modern adaptations, he is astounding. One thing I learned that I hadn’t fully appreciated from adaptations is just how cantankerous and condescending he was intended be. A side effect of having such a unique type of intelligence, perhaps? Part II, however, wasn’t even remotely close to what I was expecting. The story is rocketing along with Holmes patronising all of the local constabulary and revealing his insights in what is now a familiar manner. The mystery is all but solved, there’s plenty of action, I was excited about how Holmes’ Big Reveal would go down and then…the narrative stopped. Instead of having Holmes/the murderer explain their motive, Conan Doyle apparently decided that it would be better for the reader to go back in time and see the motive develop. Cue a visit to Utah in 1847 (the main parts of the narrative are set in 1881) and a few chapters of adventures in the desert with a group of mormons. At first, I thought that I’d made a mistake with my eReader while turning the page and had somehow skipped to the next book. I did more than one confused flits back and forth between the book’s contents and the page before ploughing on, so disconnected does the second part seem. On one hand, it was much more involving to travel in the murderer’s footsteps and come to understand just how they had wound up in their current position and I became more than a little sympathetic to their cause. On the other, I was really looking forward to a great huge monologue through which I could revel in Holmes’ peculiar type of genius and kick myself for missing the clues that were there all along. Overall: I really loved being properly introduced to Sherlock Holmes, will definitely be reading more of Conan Doyle’s stories. I genuinely would recommend reading them to any murder-mystery fan because it really is remarkably accessible considering the time it was written. Just remember that it might not be quite what you expect! Random and (mildly) interesting fact about A Study in Scarlet: It was allegedly the first work of fiction to incorporate the magnifying glass as an investigative tool.